Your air conditioning system has a shelf life, and there comes a time when you should consider replacing it. In this post, we’re going to look at the signs that tell you a replacement is a few weeks away, and the benefits of doing a complete overhaul of your air conditioning system. From the time you buy and install an air conditioning system, chances are you’ll have it in the back of your mind that one day, you’ll have to replace it. This can be due to many factors, but the most common of them has to be natural wear and tear. This especially affects the movable parts within the system, something that can be a pain with the passage of years. This is because as technologies change, it becomes increasingly hard to get replacement parts for dated air conditioning systems when making air conditioning repairs. If you’re lucky to find these parts, be prepared to pay a large sum of money to purchase them. This beats logic in the end, since you’ll be stuck buying expensive parts when the cheaper thing to do would have been to simply replace your air conditioning system. Air conditioning systems might start becoming faulty due to corrosion. This is a common problem for houses situated next the ocean because of the salty air. This means that the metallic parts of the air conditioning system eventually falls apart, forcing you to replace the system. Air conditioning systems that are affected by corrosion work at a fraction of their intended efficiency. What this means is that you’ll have uneven cooling in different rooms, as well as an increase in your electricity bill due to the machine’s inefficiency. If your air conditioner is more than fifteen years, you might want to replace it. This is because of the fact that newer models in the market might be able to help you save up to 20 percent on cooling costs. This over a couple years can make a huge difference in energy and financial savings, leaving you with spare cash that you can use to renovate the house or just save it for your kid’s education. The efficiency of the air conditioners available today is measured by a SEER standard, which is an acronym for Seasonal Energy Efficiency Ratio. This usually tells you how much energy the air conditioner is going to need to achieve a certain amount of cooling. The rule of thumb here is to get an air conditioner with a SEER level of 13 and above. Remember, the higher the SEER rating, the better the cooling capacity and energy saving capability you’ll get. Your air conditioner’s condition is also one of the things that should help you make a decision when you’re thinking of replacing it. 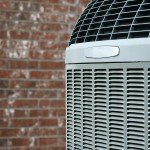 Things you should pay attention to during the pre-replacement phase include the number of times the air conditioner has broken down, the brand and its reputation, how long it takes to cool a room evenly. With this in mind, you’ll be able to come up with a choice of air conditioners that will be perfect replacement candidates. At the end of the day, you’re looking to comply with today’s energy standards, while at the same time saving money and constant repair costs. We hope this post has given you some tips and reasons detailing why you should consider replacing your air conditioning system. If you have any questions, please call us. We’re happy to help! 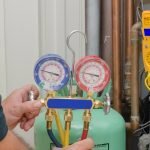 HFCs in Your Air Conditioning System?